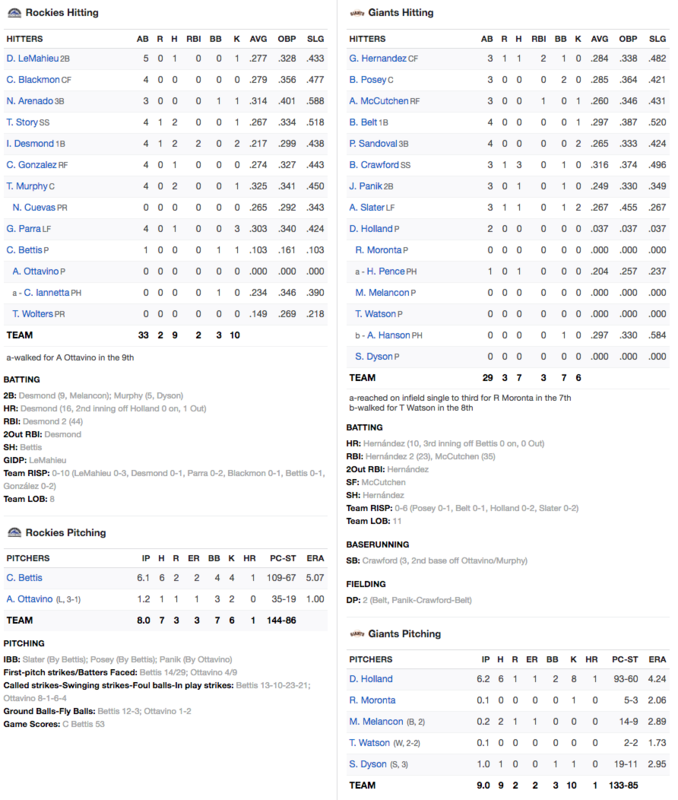 Gorkys Hernandez and Derek Holland led the way as the Giants triumphed over the Mountain Men of Denver, 3-2. Mea culpa! I was one of the doubters at the end of last season and the beginning of 2018. 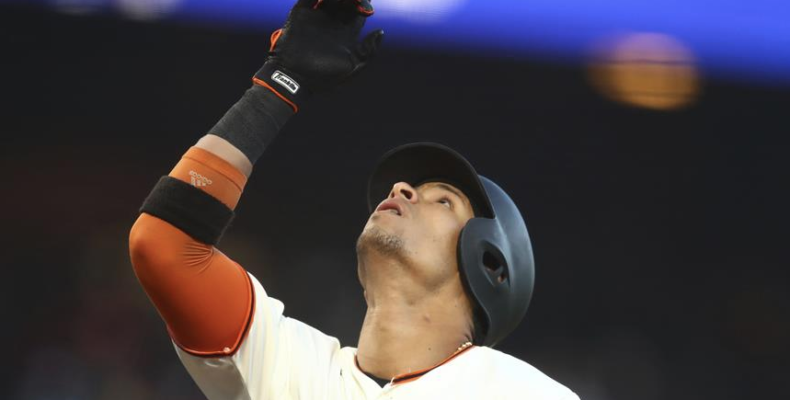 I never saw the evolution of Gorkys Hernandez, from fringe Major Leaguer to starting center fielder, inspirational leader, and home-run hitting machine with speed and a good glove. I will never doubt the Giants and Bruce Bochy again! Three Cheers for Gorkys Hernandez! This is simply a wonderful, and inspiring story developing before our eyes Giants fans. Gorkys has been nothing short of a very good, if not excellent player since the season started. He has played great defense and contributed big home runs along with, like last night, huge at-bats that help our San Fransisco baseballers win games. He has played hard, played hurt and played smart. He is a very good athlete and he seems to find a knack to help the Giants wins. What more can you ask for? Whether or not he is the future in center field remains to be seen but the bottom line is I feel a whole lot better when he is out there now than I did in recent seasons. Perhaps he will be a place-holder for Steven Duggar and then move to left field when the young Giants lefty is ready for full time work in The Show. Three More Cheers for Derek Holland! Mr. Scrapheap pick up is quietly pitching key games, keeping the Giants in games he starts and helping them win big games in the process against very good teams. When he throws strikes he keeps hitters off balance. He has been a lifesaver for this starting rotation with all of its injuries this year. Compliments have to be paid to Curt Young for his pitching stewardship of the veteran lefty that EVERYONE in MLB gave up on. Kudos as well to Mr. Bobby Evans for having the foresight to give Mr. Holland a chance at pitching an opus. He was pretty close to that last night, pitching his longest start of the season, into the seventh inning. Brandon Crawford cooled off a bit, getting only three hits last night. Tonight Kyle Freeland pitches for the Rox against Madison Bumgarner. The game begins at 7:15 Willie McCovey time.